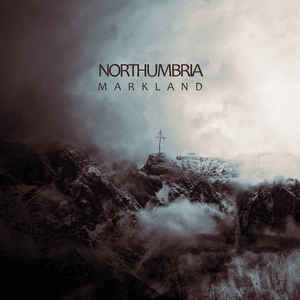 Background/Info: “Markland” is the fourth full length for Jim Field and Dorian Williamson aka Northumbria. It also is the second work released on Cryo Chamber (after “Helluland”) and the second part of a trilogy inspired by the Norse discovery of Canada. Content: “Markland” is more than the ‘classical’ dark-ambient album. It also is an experiment of sounds, which have been mainly composed by guitar and bass. 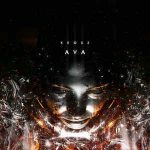 The sounds have been seriously transposed and reworked creating an overwhelming atmosphere of loneliness and despair and have been accomplished by field recordings and other electronic effects. “Markland” sometimes sounds like as a dark astral voyage. The songs have been composed with patience and knowledge, creating a strong visual appeal. + + + : There’s a noticeable move from “Helluland” towards “Markland”, which is characterized by a more sophisticated sound creation, but also reflect a similar dark atmosphere. There are some monstrous sounds running through this work and I especially want to recommend “Ostara’s Return”, which is a little sonic jewel. “Markland” is an overwhelming production, which can’t leave you unmoved… if you like dark-ambient music. It’s a fascinating soundtrack dedicated to the splendor of nature. But it also feels like an astral exploration like walking on an imaginary dark moon. – – – : Some passages of the work are a little less monotonous. The sound formula is not that new and sometimes missing a real climax although it remains a fascinating experience. Conclusion: Northumbria is an obscure travel agency made of dark and haunting sonic stations, which will invite you to discover the hidden mysteries of the high North. 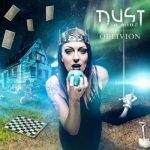 Best songs: “Ostara’s Return”, “The Night Wolves/Black Moon”, “Low Sun I”, “Torngat”, “Sunstone”.